For Group Coaching and workshops of 5 people up to 10 people the session price is $147 which can be paid by using this paypal link. 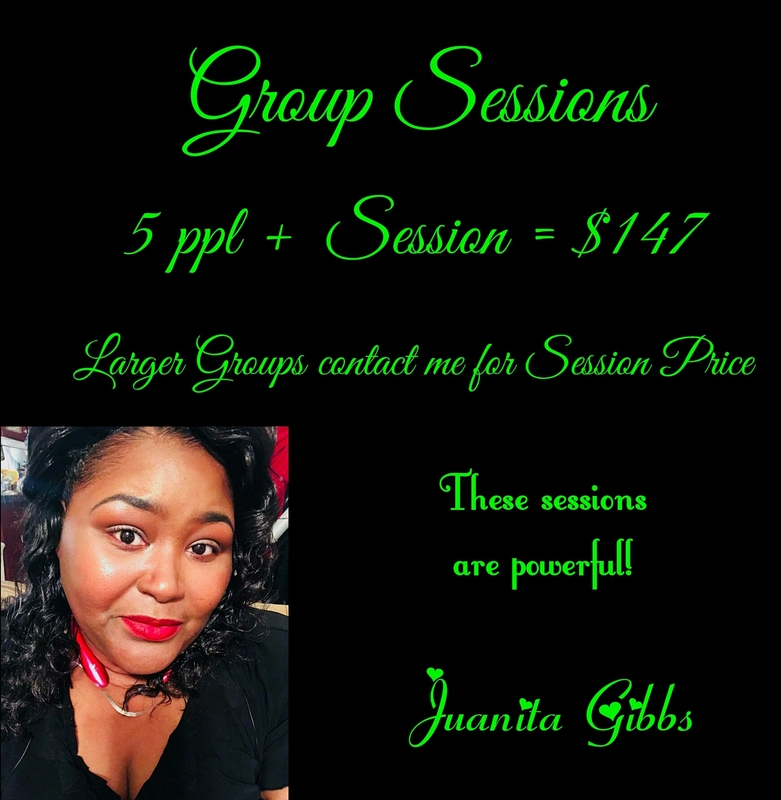 For Groups larger than 10 people I ask that you email me at: www@juanitagibbs.com to discuss the session and we can discuss the amount for the session. Providing a general paypal link to make the payment after we discuss it.